The pilosebaceous duct is lined by a stratified, squamous epithelium consisting of keratinocytes. The duct lumen is frequently colonized by bacteria that rely on the keratinocytes and sebum as a source of nutrients. Several distinct anatomical parts of the duct can be recognized. The opening of the duct onto the surface of the skin is the orifice or ostium. The sebaceous follicles on the back frequently group together and emerge through one orifice (25), while those on the face and chest show no such "grouping" (26). Grouped follicles may be more prone to bacterial colonization, which may, in turn, have important implications for follicular diseases. The size of the duct orifice can decrease by as much as 50% in conditions of high humidity due to hydration of keratin in the pilosebaceous duct (27). During this time, sebum excretion is significantly reduced, but then increases above its original level when the duct reverts to its original size. The region of duct from the orifice to the point of insertion of the sebaceous duct is called the infundibulum. The hair shaft lies unprotected in the infundibu-lum, while in the lower duct (i.e., below the insertion of the sebaceous gland) it is surrounded by the inner and outer root sheaths (Fig. 1). In terminal follicles, the whole of the infundibular lining closely resembles the interfollicular epidermis, the cells of which undergo the same basic pattern of terminal differentiation, as do those of the epidermis. However, in sebaceous and vellus follicles only the upper fifth resembles the contiguous epidermis. This region is termed the acroinfundibulum. The lower four-fifths of the duct, down to the insertion of the sebaceous duct, the infrainfundibulum, display distinct structural and functional differences when compared with the epidermis. The granular layer is thin and inconspicuous and the keratinocytes often contain glycogen granules in contrast to those of the acroinfundibulum. The cornified layer that develops from this is thin, being composed of only two to three layers, and the corneocytes have been described as fragile (28), as opposed to the interfollicular epidermis, where the stratum corneum is well defined. Based upon histological observations, there appears to be little adherence between the ductal cells or corneocytes (28), and as a consequence it is thought that they slough off and disintegrate to form a loose disorganized mass within the lumen which is normally eliminated along with sebum and shed vellus hairs (7). Desmosomes are present between the cells of the follicular epithelium and there is no difference in their expression in acroinfun-dibulum versus infrainfundibulum (29). The ductal stratum corneum is observed to be relatively thick near the orifice, but it thins as it extends down the follicular canal until it is almost absent at the junction with the sebaceous duct. At these sites, it is thought that the stratum corneum may present an incomplete barrier, allowing the entry of microorganisms and drugs. The sebaceous duct is lined by a thin epithelium consisting mainly of a basal and granular layer. These cells contain small lipid droplets, whose origin is unclear, but they are thought to be derived from the secretion of the sebaceous glands (7), keratin filaments, and sparse keratohyalin granules. The horny cells here are fragile and are sloughed off in the stream of sebum (7). 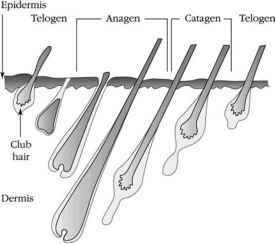 FIGURE 2 All follicles produce a hair from the dermal papilla, and hair growth is cyclical, comprising anagen (growth), catagen (breakdown), and telogen (resting) phases successively. and receptor expression, compared to sebaceous and vellus follicles. Terminal hair follicle cycling is well reviewed by Stenn and Paus (34). 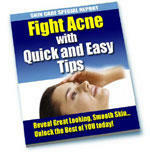 When and where to find vellus, terminal and sebaceous pilo sebaceous?